June 2012 – Multisport coaching. Q: When/where was your moment of truth/when did you know you wanted to go pro and why? And what will you do upon retiring? A: Retiring? What is that? I plan to do this sport for the rest of my life. I found triathlon back in 2002 and as soon as I did my first one I was hooked. I did three races in 2002 and then turned pro in 2003. I started doing triathlons not because I knew it would provide me a career but because I needed an outlet for my competitiveness. 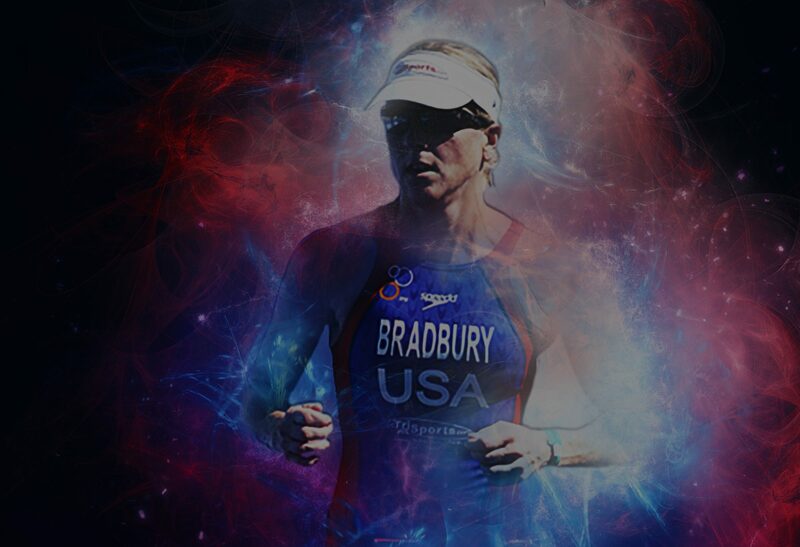 I had worked a few jobs after graduating from The University of Michigan and I was still unsure what to do for a job and then I found triathlon, before I knew it, triathlon had become my career. Q:What are your hobbies outside of the tri world? A: I love hanging out with my kids (I have two). I enjoy reading and mostly hanging out with my family. Q: What’s your greatest mental challenge and how do you overcome it? A: I am challenged mentally everyday. There are obstacles that I have to overcome on a daily basis and making small steps can be just as important as huge hurdles. Knowing when and how to push my mind and body so I can constantly improve is difficult but I keep at it and celebrate small and big victories alike. Thanks Andy and best of luck this season! Ah, motivation. Many people have inquired as to how to keep it going year round, if only I could provide a blanket answer, but we are all motivated by different things. Regardless, there are always ebbs and flows, but the one factor all successful people have to stay motivated is simply to have goals. So let’s start by creating some. Choose short term and long so that maybe you’ll have some by week, month, and year. Motivation will be certain to wane if only long term goals are made. It’s just to far away. Having weekly and monthly goals will help keep you focused and consistent. It’s more about the process anyways. If you solely focus on your goal, you are sure to miss the benefits of the journey, which could ultimately make you less successful. Another factor for success is how much you desire your goals. Talking the talk is one thing, walking the walk is another. Per racing: Do you have a plan? Are you adhering to your workouts? Do your actions coincide with the outcome you desire? Are you using food as fuel? Are you getting ample sleep? 1) Have a plan. Imagine how difficult it would be to start a business, lose weight, train, etc without one. A plan will help you stay focused and organized. 2) Write down why you desire this goal. What will it take? Is it just something you want to check off your list or is it something you truly desire? Your actions, or lack thereof, will reveal the answer. 3) Seek inspiration from other people, their stories and be an inspiration to others. 4) Be grateful you are healthy and able to do what you’re seeking to do. 5) Know there will be hard days and hiccups. That’s normal, accept them and move forward. 6) Ensure you are setting goals for you, not what you think others want you to do. 7) We all have dreams, some of which may be just that. Set realistic goals, not too easy, not incredibly hard. 8) Be confident! If you don’t believe in yourself, you most likely won’t achieve your goals. 9) Be kind to yourself. Accomplishing baby steps along the way are HUGE measurements of progress and success. Never dismiss those. 10) Create some mantras. Post them where they can be viewed often; near your bed, on the refrigerator, in your car, on your bike, etc. I often write some on my hand before I race. 11) It’s easy to get distracted with factors beyond your control and what others are doing. The best recipe for success is to focus on what you can control. Now determine your goals and get after them!